The Bakerloo line owns its name to the two train termini it linked, Baker Street and Waterloo. It was built in 1906 and ran between Baker Street and Elephant & Castle (more convenient than Waterloo due to the lack of space for sidings near Waterloo). It was extended to Paddington in 1913 to provide a link with two additional train termini. It was then extended in 1917 to Queen’s Park where trains could join the existing suburban train line to Watford. The company experimented with different northern termini over the years; the present terminus in Harrow & Wealdstone is the solution chosen in 1989. 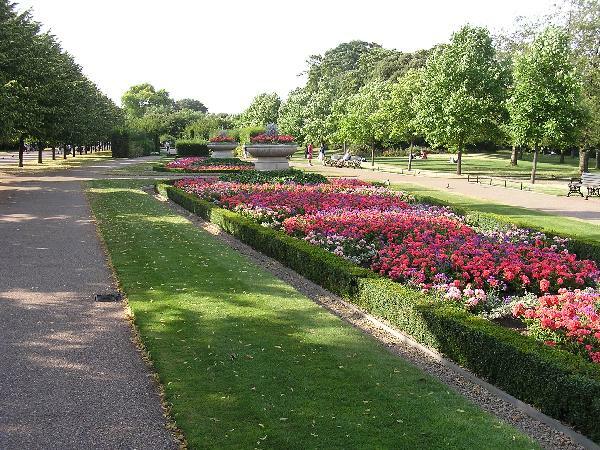 Because the Bakerloo line uses the tracks and stations of the suburban train line between Euston and Watford north of Queen’s Park, I offer only Bakerloo line walks for the section south of Queen’s Park. 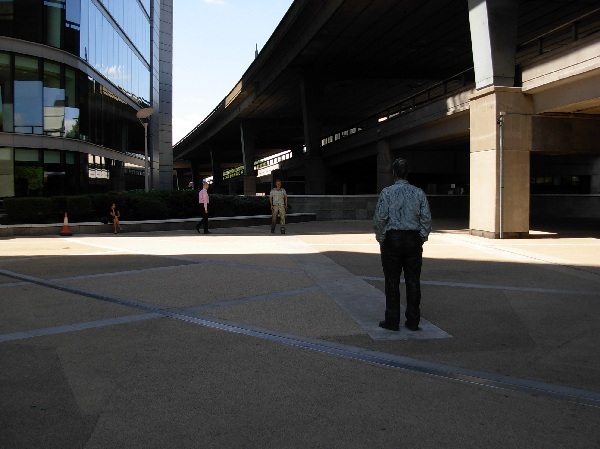 For the northern section, please look at my Euston network walks 2 and 3. Routing note: This walk connects in Regent’s Park with Bakerloo line walk 1. 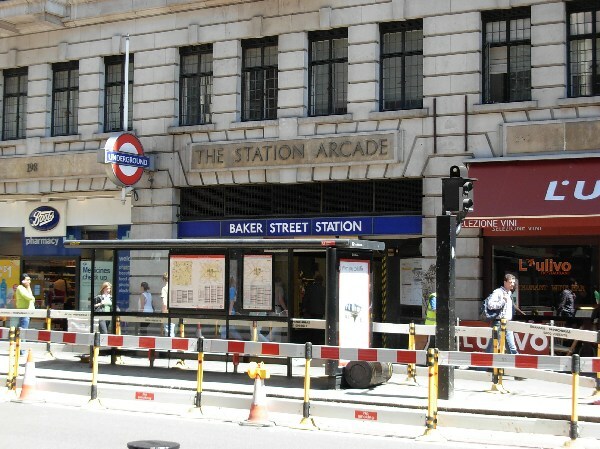 It then connects in Baker Street, Marylebone and Paddington with various other Tube or train walks. Finally, it connects in Queen’s Park with Euston train network walk 2. 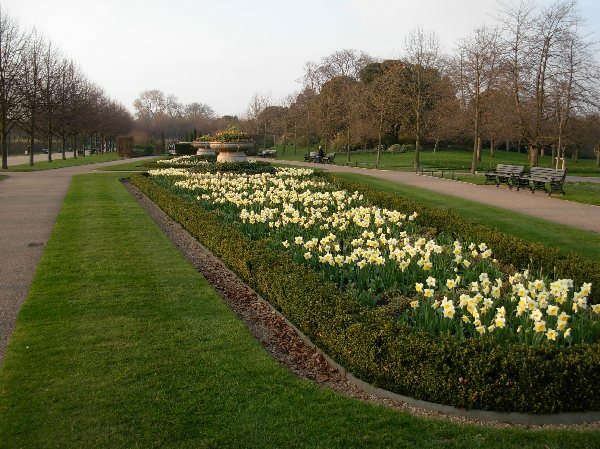 My time estimate includes crossing the gardens in Regent’s Park, but not admiring them at leisure. 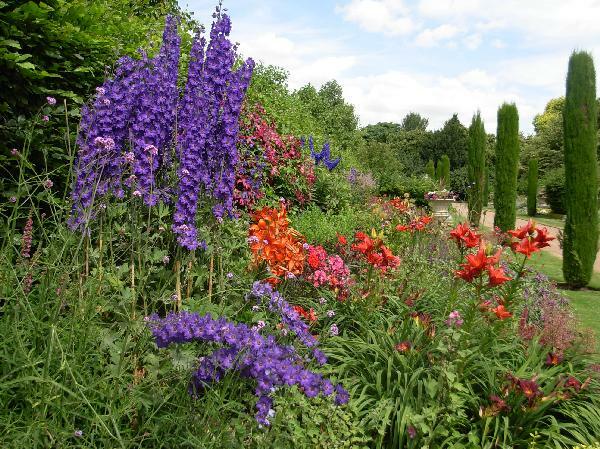 You will know better than me whether you like sitting among the flowers or checking the gardeners’ work. 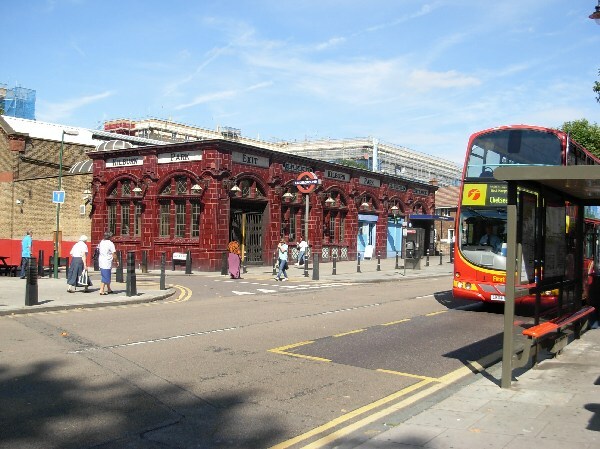 The station opened in 1906 and is one of the quietest in zone 1, serving neither commercial areas nor densely populated neighbourhoods. Because it is underneath a private garden, no station building fitting with the surroundings was possible. All facilities are underground and the stairwell is particularly inconspicuous. 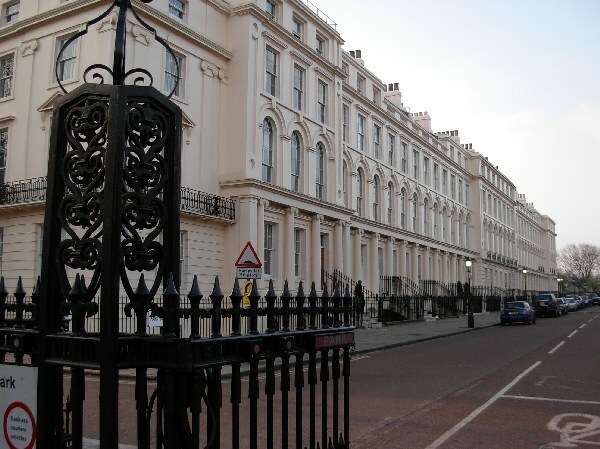 Park Square is a development from 1823 built on plans by John Nash. 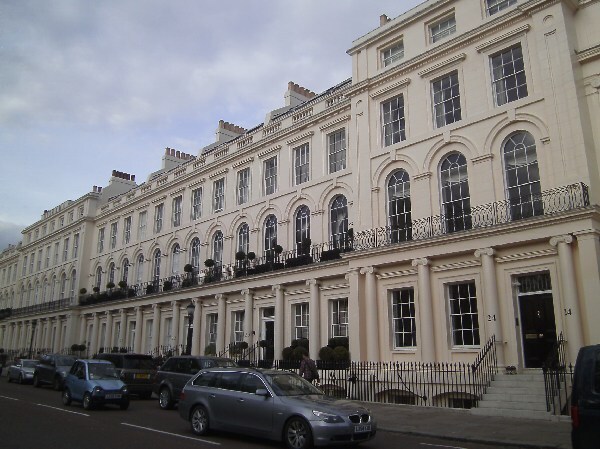 The developer was the Crown itself, the Prince Regent being worried about his financial situation after the costs of the wars against Napoleon – and being also conscious that his luxurious taste needed funding. 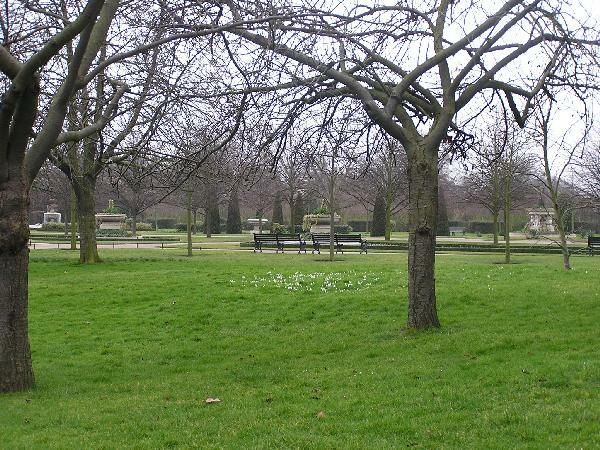 The whole development includes also large properties along the edges of Regent’s Park and only part of it was built due to a downturn in the economy. Park Square was meant for minor celebrities and the upper middle class, so that it is less grand in scale and decoration than some other sections of the scheme. It keeps to a very strict neo-classical style. Mid-19th century developers kept the style for other parts of London but added porches over each door as this was useful in rainy weather. The tall, rounded first floor windows of the Nash scheme also fell out of fashion later and were replaced with cheaper normal, rectangular windows. 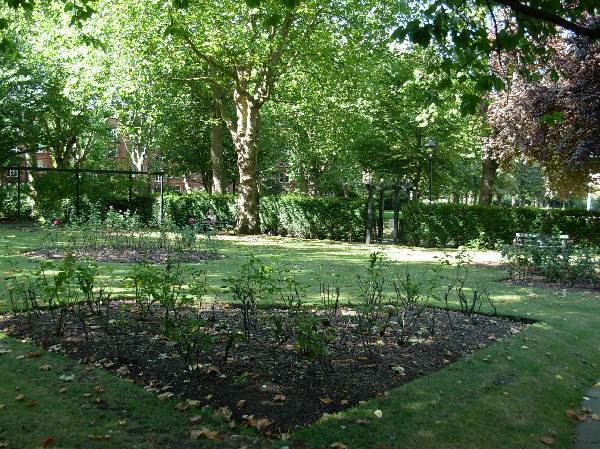 There is a large private garden in the middle of Park Square. 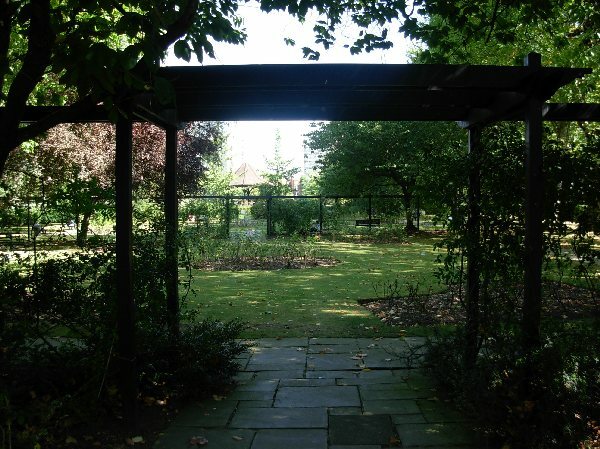 It is linked with the private garden for Park Crescent south of Marylebone Road by a tunnel nicknamed “nursemaids’ tunnel”. 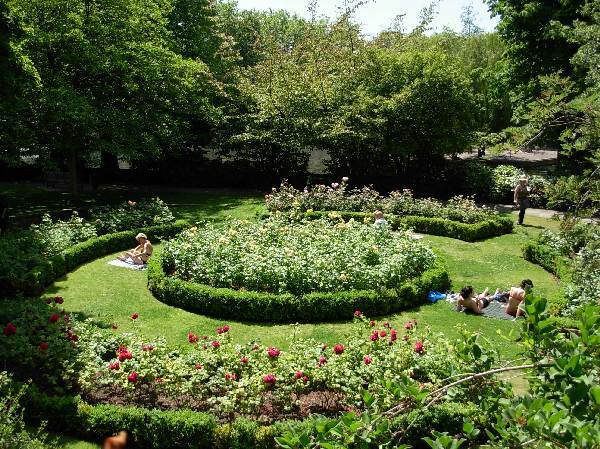 Due to dense vegetation around the square, you cannot really have a look at the lawn. As nearly all properties in Park Square have been converted into more profitable offices, the garden is actually little used. Beware of speeding cyclists on this road; the 4.45 km long circuit is a very popular training ground for racing cyclists due to the good pavement and absence of traffic lights or other obstacles. There is some car traffic, but much less than on main roads. 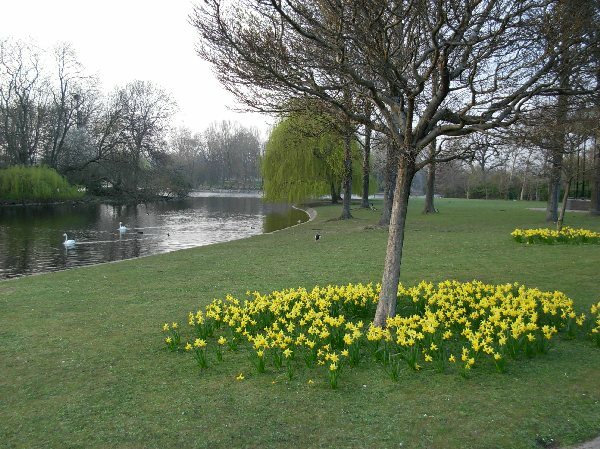 Regent’s Park was a hunting park in the 17th century but was then leased as fields in the 18th century. As mentioned above, the Prince Regent approved a development plan involving majestic terraces around the park and individual villas inside. In the end, only few villas were built and most of the park is now open lawn and individual trees. In the southern section that you will be crossing, you are much closer to central London and this justified more amenities. 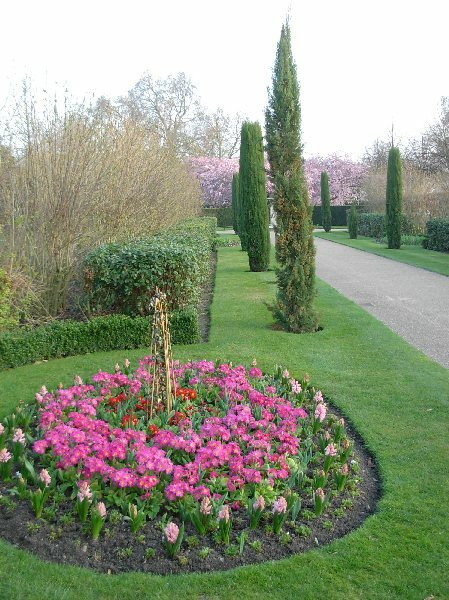 The Broad Walk bisects what is called the Italian Garden. 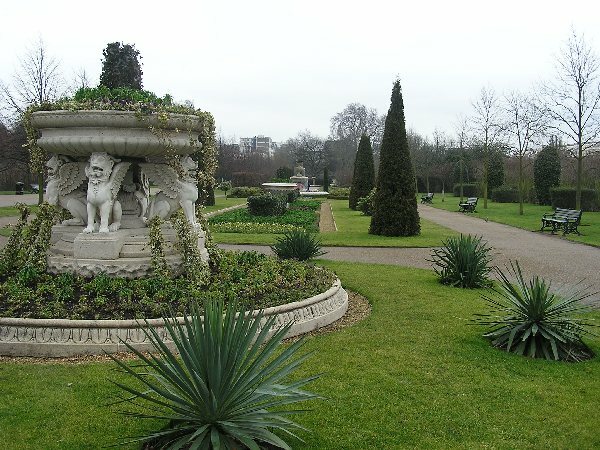 On your right-hand side, there are so-called English Gardens beyond the Italian Garden. 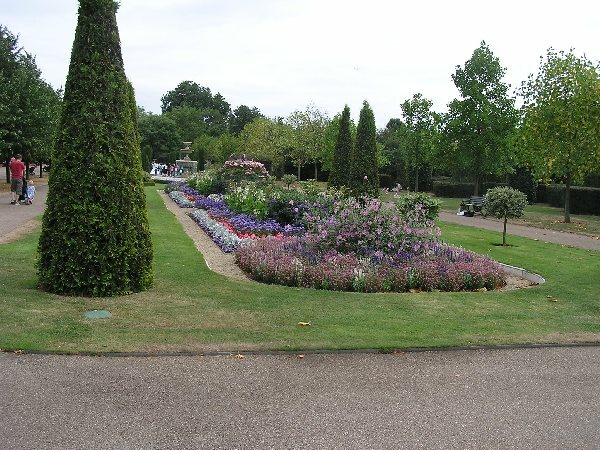 The English Gardens are not very exciting, they involve curving paved paths among lawn and trees. I don’t remember many statues or unusual flowers. The Italian Garden is very formal, as usual in Italy where symmetry is essential since Renaissance times. Cypresses, fountains and large stone structures carrying flowers are meant to evoke Italy. 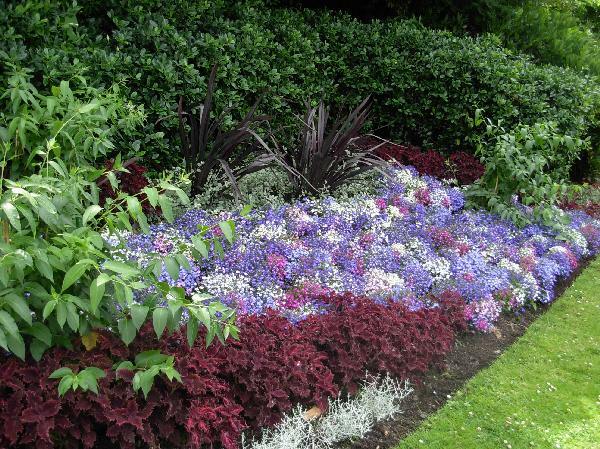 The flowers themselves are suited to the London climate but it is a showcase garden and you can therefore admire elaborate combinations of plants in carefully selected colour schemes. 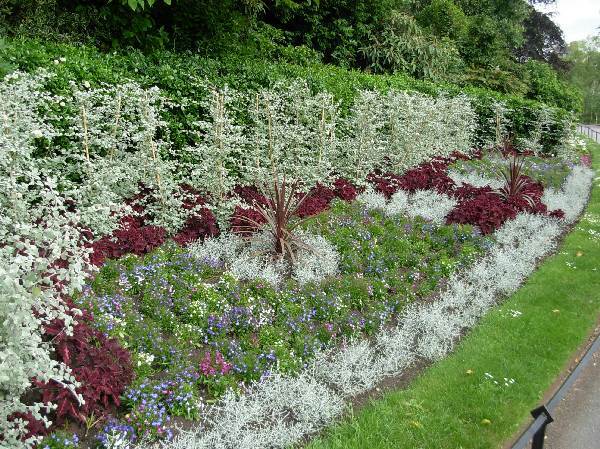 Some of the beds tend towards the Italian tradition (all plants of the same height with a miniature box hedge around them), some towards the English style (three heights of plants with the highest in the middle, blocks of colour, unusual plant shapes). I give you a large choice of pictures to show the effect in different seasons. 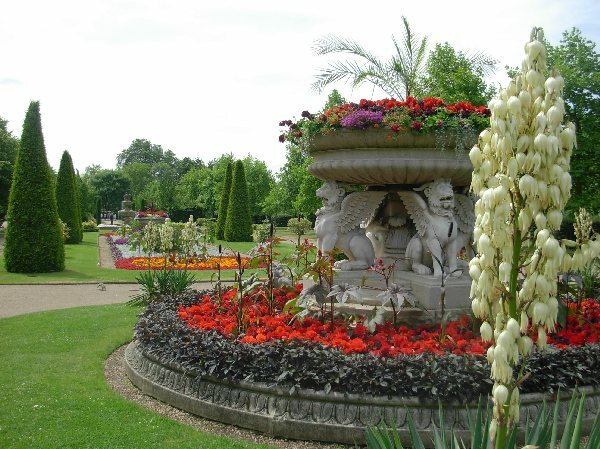 As I spent more time in Queen Mary’s Gardens on an other walk, I don’t give many details here, but you can obviously cross the gardens instead of walking along the Inner Circle. If you do this, keep to a straight line passing the café. 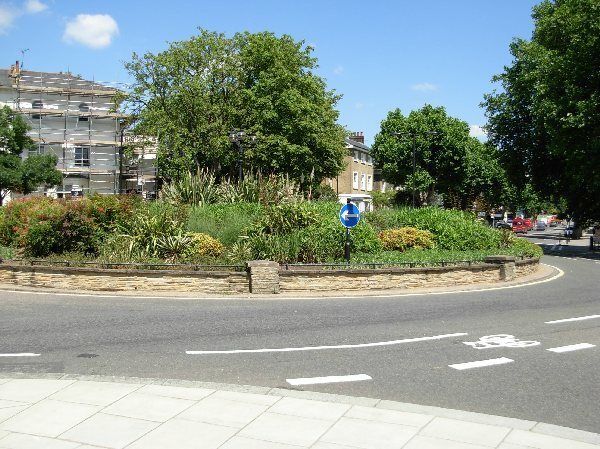 If you keep to Inner Circle (the other road used by training cyclists), you will walk along Regent’s University, a combination of three private universities teaching primarily foreign students. The present operator opened in 1985 and is a subsidiary of an American college, explaining the high proportion of foreign students (and their willingness to pay tuition fees covering such an expensive location for the campus). Most of the buildings are from the 1910s with additions in the 1950s, so that they are not of major interest. As the picture shows, the campus has the genteel feeling of an American college rather than the busy atmosphere of an English public university. 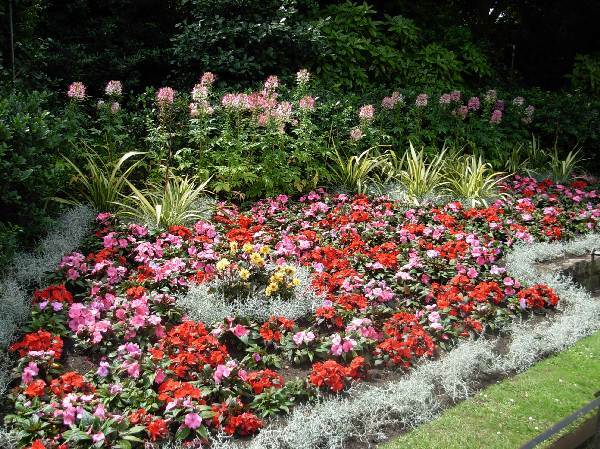 You might notice a series of formal flower beds on your left. 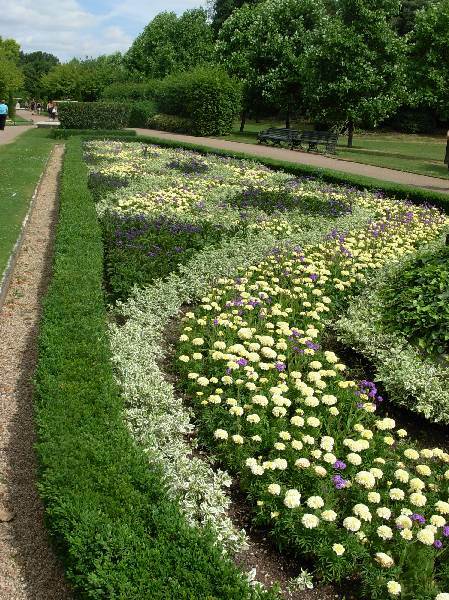 They are particularly manicured and each has a different colour scheme. The lake caused problems in the 19th century. It was deeper and there was a major incident in 1867 when the ice broke under skaters, causing 40 casualties. As a result, the depth was reduced to 4 ft. Anyway, the lake is now a nature reserve for waterfowl and bathing or skating is strictly forbidden. There are also good hygienic reasons for this prohibition as there is no river to renew the water. 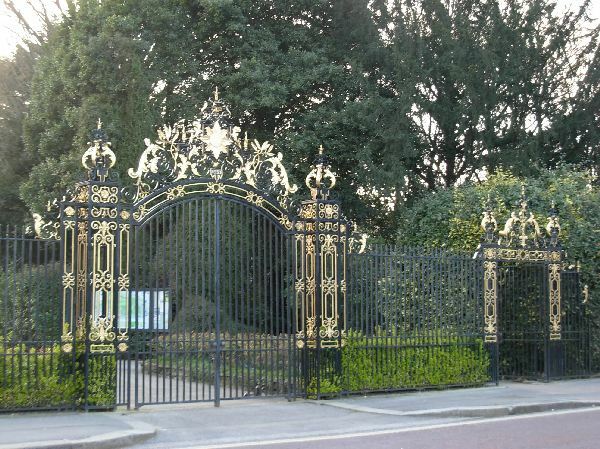 The gate is again lined with flower beds, this time more in the style of an average borough park. The most interesting building in this street is number 219, the former seat of insurer Abbey National. It was built in 1932 in pure Art Déco style with very little decoration because it was a time of economic and financial crisis. There is just a winged figure at the upper level and a lighthouse at the lower level. The short text “Security” points out that an insurance is supposed to make you feel more secure. I sometimes have the feeling that insurers are very good at not paying out in case of damage, but this is the difference between “feeling secure” and “being actually covered”. Investors are also very keen on investing your money, but they don’t give you any guaranty on the level of your future pension. How secure do you feel then ? Abbey National also used the neighbouring building, number 221. You will probably notice tourists in front of this address because Sherlock Holmes lives in his novels at 221B Baker Street. Part of the building has been converted into a private museum that recreated rooms based on film sets relating to the novels. The author’s widow was never very keen on the museum, saying that it was better to have readers imagine the story and being aware that it is a work of art and not a historical figure. The discussion is typical for books that reach cult status and are adapted for theatre and film. Once you see a film, it becomes difficult to abstract from it and develop a different view of locations and props. In some cases, the film simplifies so much that you lose much of the complex interpretations made possible by the book. Films also often stress heavily any romantic relationship from novels where this is very secondary. The access is actually a few yards beyond the crossroads with Melcombe Street. You will therefore need to turn around afterwards if you have walked all the way to the station. The station opened on the first Underground railway built in the world, opened in 1863. These platforms are the ones used by the Hammersmith & City line. A terminal with a connecting curve was built for northbound Metropolitan line trains (towards Harrow) in 1868; it was called originally Baker Street East. Platforms deeper underground opened for the Bakerloo line in 1906. Finally, the Jubilee line platforms opened in 1979. Altogether, there are 10 platforms, which is the largest number for any Underground station complex in London. 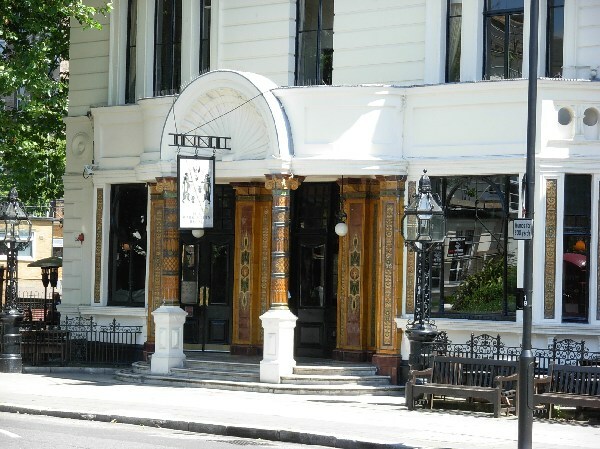 The main entrance is on Marylebone Road with a side entrance on Baker Street showed on my picture. Both entrances are just modest porches leading to a small shopping arcade underneath a very large office building. All station facilities are underground or under the office building. This was an arrangement favored by the Metropolitan Railway in order to maximise the use of valuable real estate when the company did not feel compelled to provide a conspicuous station building for public relations purposes. The most interesting building in the street is on the corner with Glentworth Steeet. 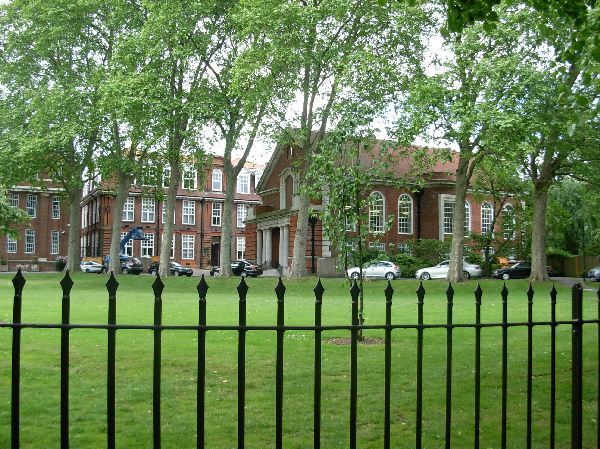 It is a large estate with brick walls but a very large number of windows made conspicuous by green railings. It is a unusual combination in London. The top of the estate is invariably stepped back over several penthouse levels. 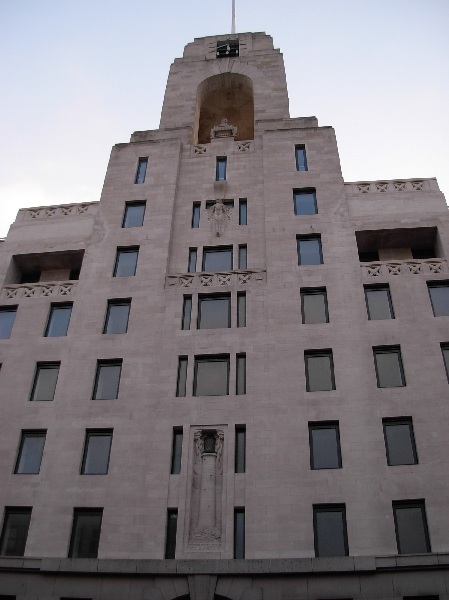 This is typical of a so-called ziggurat scheme and was very popular in the 1930s. The advantage was that the borough was more likely to grant permission to build higher as the top floors would not overshadow the street and the neighbouring properties as much as in a classical box shape. 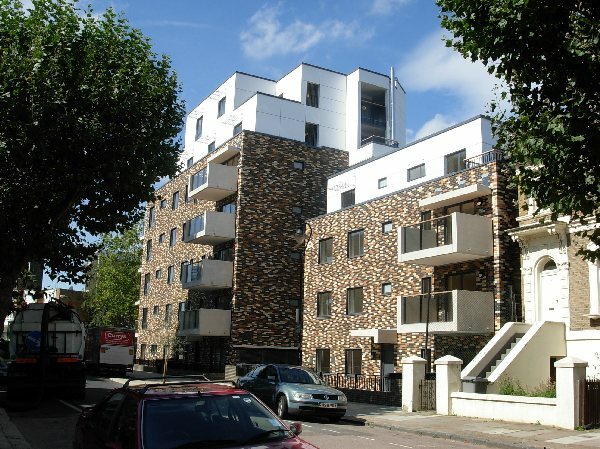 The style has been popular again in the 1990s, particularly for riverside estates. 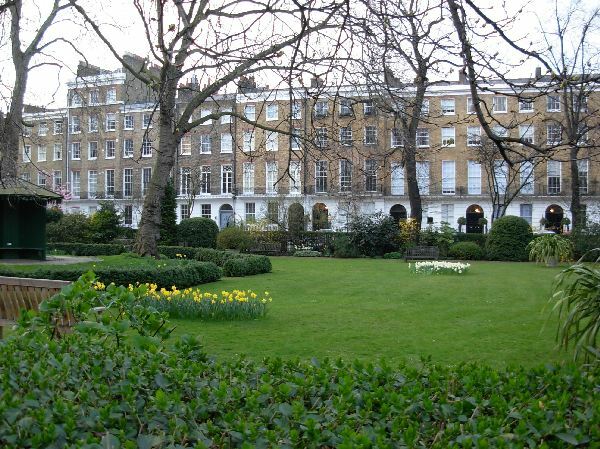 Dorset Square is a very pleasant and little known green space lined with Georgian town houses. It has banks and a few flowers in season. 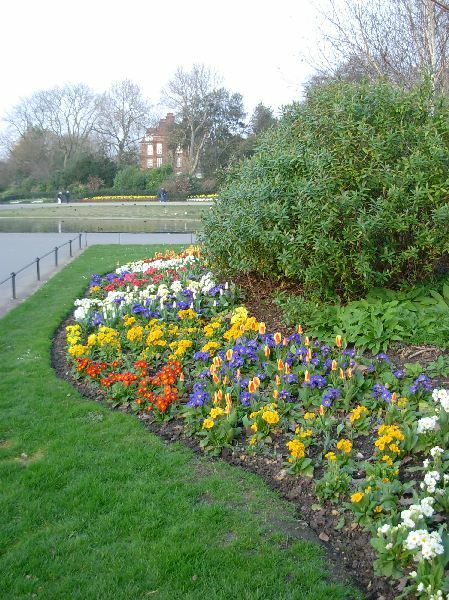 It was landscaped in the 1820s on land vacated by a cricket club. 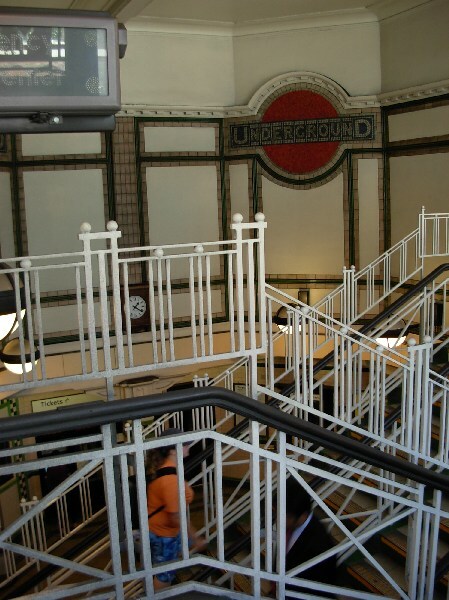 The Underground station opened in 1906 when the Bakerloo line was built, giving the Marylebone train terminus its first and only Underground connection. The terminus is one of the smallest in London and was the last to open in 1899, explaining why not more Underground lines serve it. The Underground station is fully incorporated into the train terminus with very little signage pointing to it at surface level. This was different originally, there was a separate station building in the Leslie Green design typical for the line (see the next station for this design). The building suffered bomb damage in 1943 and was demolished in 1971. The station was first supposed to be called Lisson Grove, but this was replaced by “Great Central” in a nod to the train company operating from Marylebone terminus. This was a somewhat strange name for an Underground station, all the more because it has never been a very “great” nor a very “central” station. The reason may also be that the station was the original northern terminus of the Bakerloo line for a few months in 1906. The line continued towards Paddington in 1907. 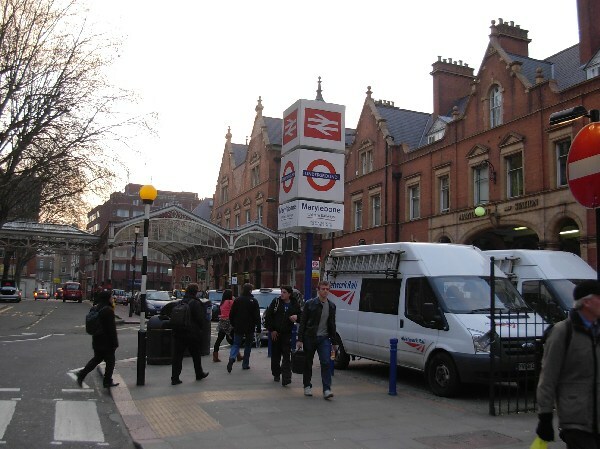 When the line started to offer services further north towards Queen’s Park in 1917, the name of the station was changed to Marylebone. One very unusual feature of Marylebone Place is the glass marquee above the road. It was meant to provide access to the station hotel without getting wet as the hotel had not been built directly along the concourse or above the ticket hall. 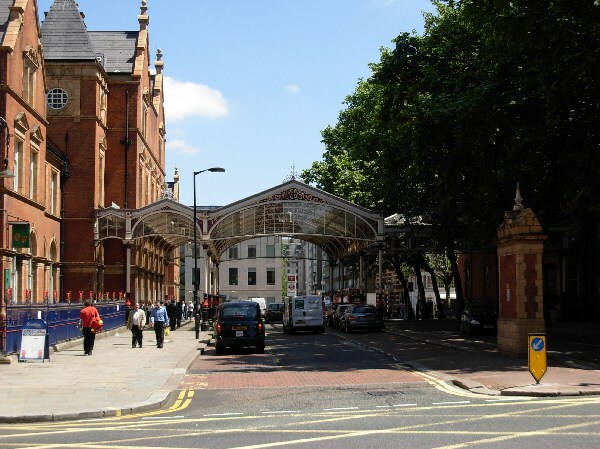 Marylebone terminus was the only one where you had to cross a public road in order to get to the station hotel. In this case, the train operator did not have the funds to build a hotel and it was a separate commercial company. The hotel closed in 1945 and was converted to offices but re-opened in 1993. At the corner with Cosway Street, you walk past what is obviously a church. There is no sign about the denomination for a good reason as Christ Church was deconsecrated in the 1970s and converted into offices. According to recent plans, it may be converted into a fitness club. From spiritual health into bodily health, a nice reflection on how our society has evolved over 50 years. The church was a quite impressive neo-classical structure built in 1824 with lots of columns. Anything neo-Greek was heavily fashionable, with Lord Byron going off to fight in Greece in 1823 (ethnic Greeks were trying to achieve independence from the Ottoman Empire). 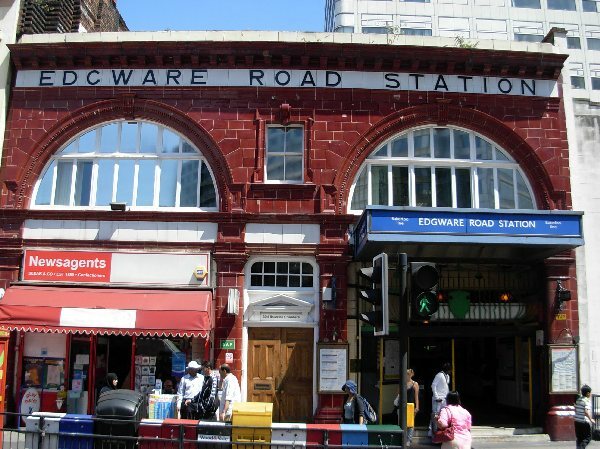 The station opened in 1907 and is completely separate from an other Edgware Road station served by the Circle line. It was the northern terminus of the Bakerloo line between 1907 and 1913, when the line could be extended to Paddington after complicated negotiations. The station has the conspicuous appearance that architect Leslie Green developed in 1903. His design was used on three different Underground lines as they belonged to the same group of companies. It involves striking dark red terracotta tiles covering the whole ground floor. Unfortunately, the heavy workload caused a burnout and the architect died very young just after finishing the plans for all the stations. The station access was originally squeezed between shops and this is why it is a rather modest structure. At the corner of Praed Street with South Wharf Road, you will probably notice a conspicuous neo-medieval building. It was originally a pub and still bears a long inscription about the corresponding brewery. 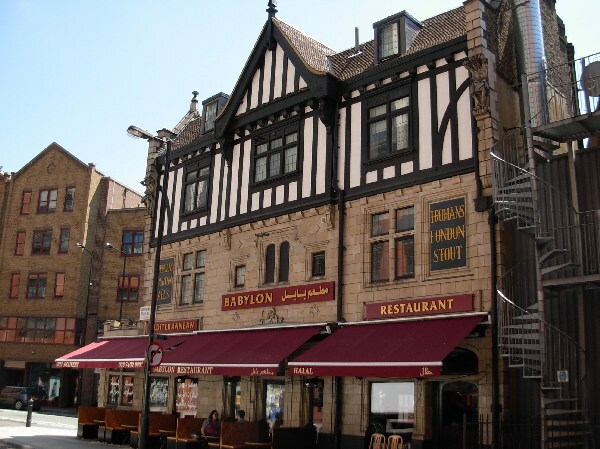 Pubs apparently love to give themselves the appearance of an ancient drinking hole but the black and white scheme of the upper floor is actually just what is known as “stockbroker Tudor”, an imitation popular in the 1930s. Continuing on Praed Street, you soon reach the large set of buildings used by St Mary’s Hospital. 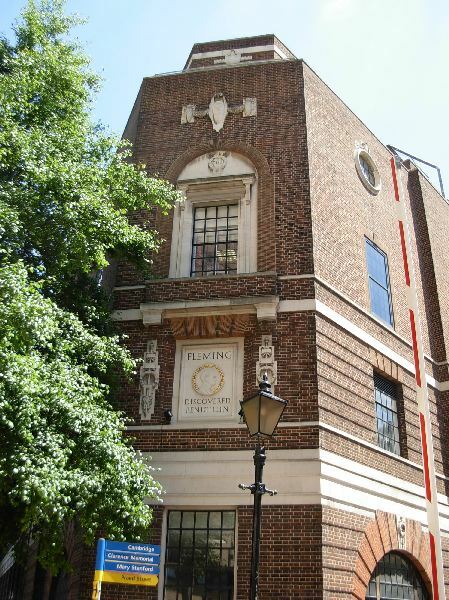 It had a renowned scientific department in the early 20th century and a sign tells you that it is the place where Fleming discovered penicillin in 1928. There is apparently a small museum within the hospital complex where you can learn more about the scientist. The hospital is also well known by socialites because it has a private wing where royalty has been born. The strikingly geometric wing you see first is obviously Art Déco, but it is a late example from 1938 when decorative features had been dropped because of the economic crisis. The wing you pass afterwards is the original one from the 1850s with a first floor loggia obviously inspired by Italian town palaces. 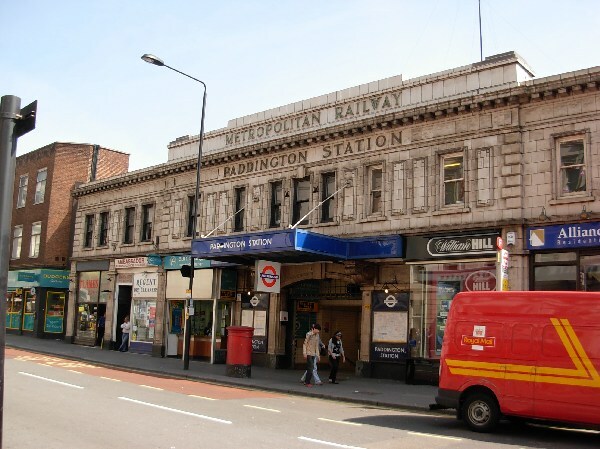 The station opened in 1868 together with the Circle line and was originally called “Paddington (Praed Street)” because there was already a separate “Paddington (Bishop’s Road)” station used by what is now the Hammersmith & City line. The two stations provide no interchange but still got the same shorter name in 1933. Deep level platforms opened on the Bakerloo line in 1913 with an interchange to the Praed Street station. The station building was rebuilt in 1914 and is a sizeable structure fully lined in stone with neo-Renaissance features. The distinguished style and good proportions led to the building being listed. 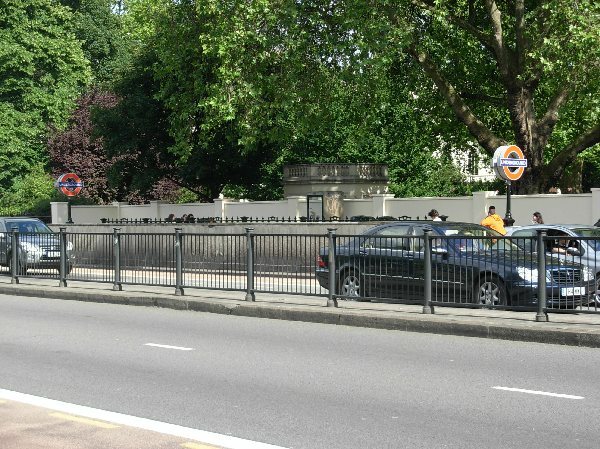 The road runs along the wall of Paddington terminus. When it turns R, leave the road for a footpath keeping to the previous direction. This is an official cycle route although it is not clearly marked as such and it soon merges into a towpath along a canal. Follow the towpath ahead passing under several bridges. The canal is the access to Paddington Basin, used as a harbour at the end of Regent’s Canal. It opened in 1801 and was very busy with goods from the Midlands delivered into Westminster. 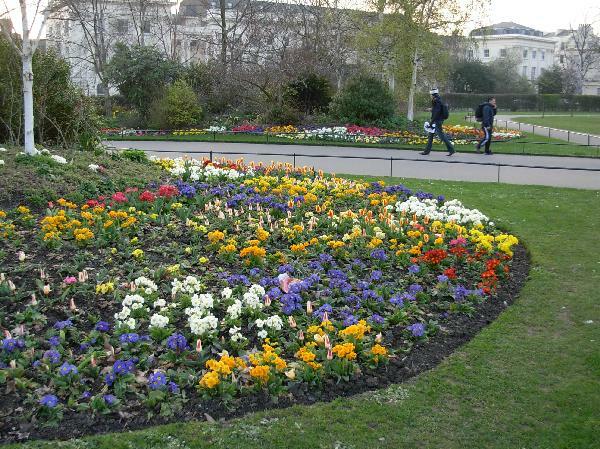 There were many similar basins further east, particularly in Islington, while Paddington was the only one in its area. When commercial traffic disappeared, warehouses closed and the area was not converted before the 2000s. Because the basin is quite narrow, the feeling is different from schemes in Canary Wharf and Islington, reminding more of a courtyard. The office buildings as such are of no particular interest. The Basin has become well known among bridge enthusiasts for its three footbridges while the access canal has less spectacular examples. 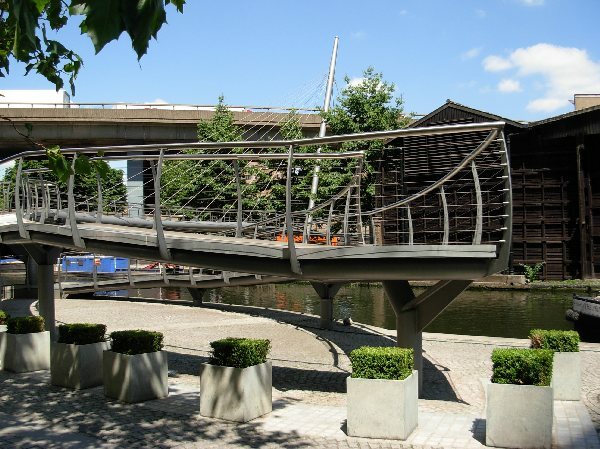 Nonetheless, the third footbridge on your way has an interesting shape with a curving access. The bridge is suspended to a single asymmetrical pylon, the kind of game architects like to play when given enough budget. Shortly afterwards, you reach a motorway viaduct with two gentlemen waiting beneath. They look quite realistic but they are sculptures. I am not sure I find it worthwhile to depict everyday people in everyday clothes doing nothing special, but I suppose exactly this is the message the artist wishes to convey. The motorway above you is technically just the A40, an access road into central London built in the 1970s in order to alleviate traffic jams through Notting Hill. 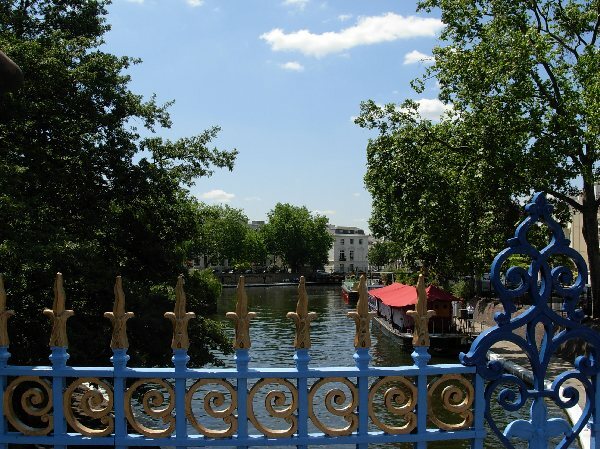 The canal junction is called officially Browning’s Pool but is better known as “Little Venice”. This is a seriously overdone name for a simple canal junction that reminds more of the Netherlands than of Italy. Rows of mature trees on two of the three sides and a number of early 19th century town houses overlooking the junction do give a pleasant impression. Because of the waterside, of the trees and of the low level of traffic, this is a seriously expensive area of London to live in. A strip of land between two of the canals has been converted into a small park called Rembrandt Gardens, a fitting name if you think of my previous reference to the Netherlands. There are fine rose bushes in summer and my picture shows that this is also a reasonably secluded place to enjoy sunbathing. This particular bridge is officially the Number One bridge because this is actually the start of Regent’s Canal. The older canal, opened in 1801, was just a dead end linking the Grand Union Canal from the Midlands with Paddington Basin where it ended. Regent’s Canal was built in the 1810s in order to link Paddington Basin with the Port of London, enabling barges to bypass the overcrowded section of the Thames between London Bridge and Westminster. The bridge has rather nice ironwork painted in bright colours. 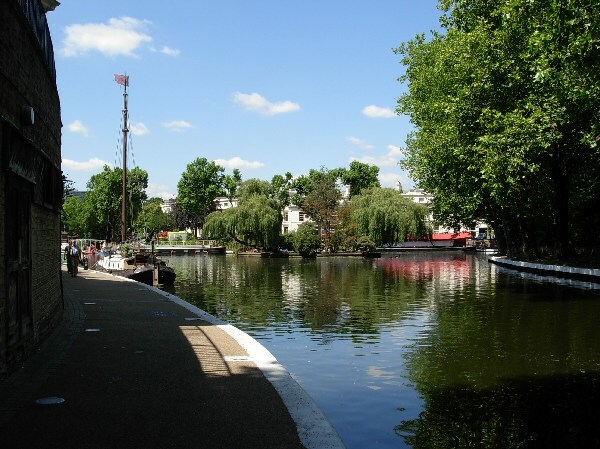 The canal is very rarely ever used by commercial barges nowadays but is popular for tourist trips between Little Venice and Camden Town and is also used by house boats when moving between the different mooring basins spread over the length of the canal. 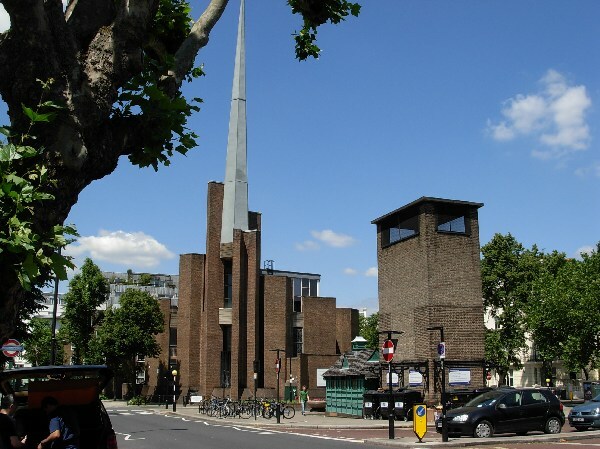 The road soon leads to a striking church building just behind the Underground station access. St Saviour’s church was originally a rather unspectacular but very large Victorian church. In the 1960s, it had become way too big for the dwindling congregation and the Church decided to demolish it, to sell half of the ground to a developer and to build a smaller church on the rest as the maintenance costs would be lower. The new church was opened in 1976 and is a striking combination of vertical slabs of dark bricks. 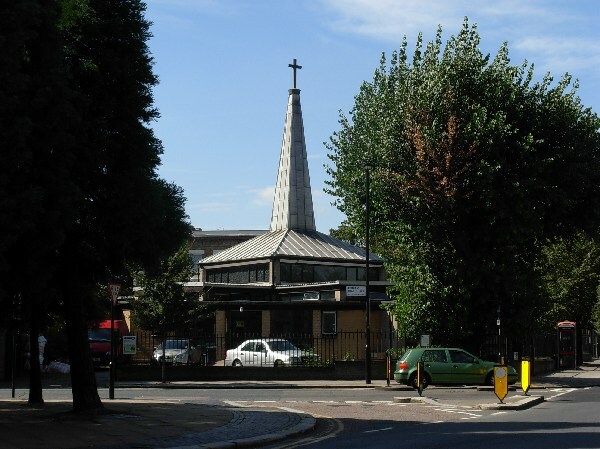 The very high and extremely pointy spire was chosen because the borough wished a high building in order to compensate for the fact that Warwick Avenue is a very wide road. I don’t really like the building but it is one of very few examples from this particular period in London. The station opened in 1915 when the Bakerloo line built a line extension between Paddington and Queen’s Park. It is one of not many suburban stations that never had any building at street level. All facilities are hidden underground. 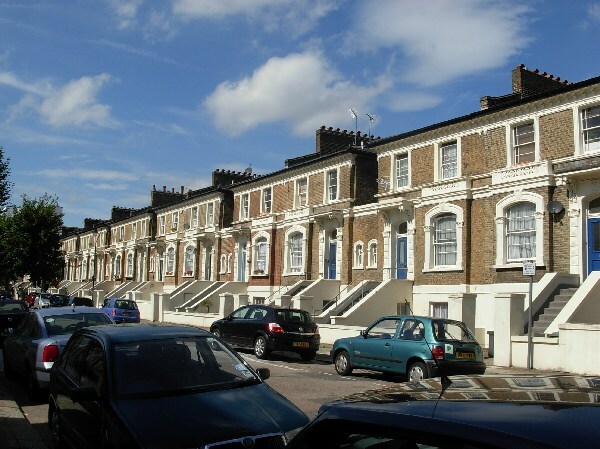 The houses along this road belong to the numerous development schemes launched in the 1820s in the western part of London and remind a lot of Notting Hill or Belgravia. There is one unusual building at the end of the road near the roundabout. The hotel owners have an extremely elaborate entrance portico with glazed decoration. You see that the building is older because of the access steps – you would not build a hotel nowadays where people cannot roll their luggage in. The roundabout is less impressive, it looks a little like abandoned wasteland but I am sure it is a carefully planned wildlife haven aimed at feeding bees and creepy-crawlies. The road is not impressive at the start but leads later on past a long row of Georgian town houses boasting a peculiar variety of first floor arched windows and an uninterrupted narrow balcony. Such balconies are obviously useless but possibly conveyed in early Victorian times a feeling of sophistication, reminding residents of Italian architecture. 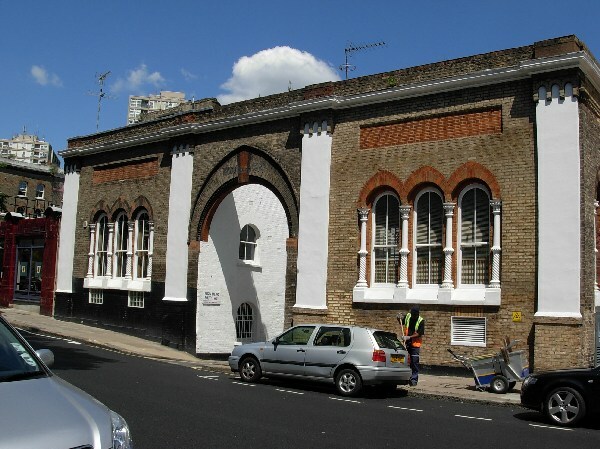 At the end of the road, a lower building with pointed arches marks the entrance of the former mews. I am somewhat baffled by the layout. Normally, mews ran all along the back of the town houses in order to provide easy access from all properties to the stables and horse carriages. In this case, the mews are a short road at the very end of the development. 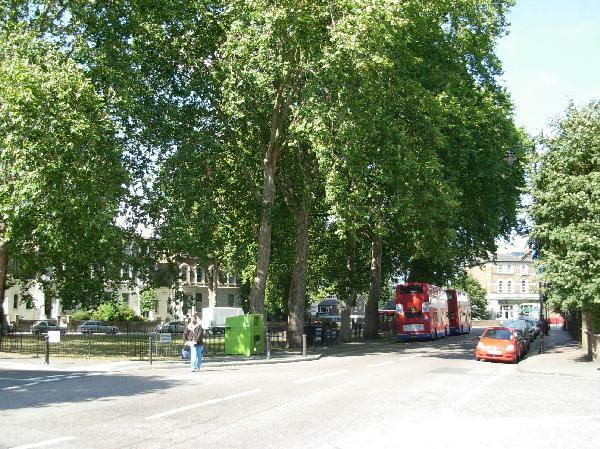 This may have to do with a former set of houses that were demolished because of the Underground station. 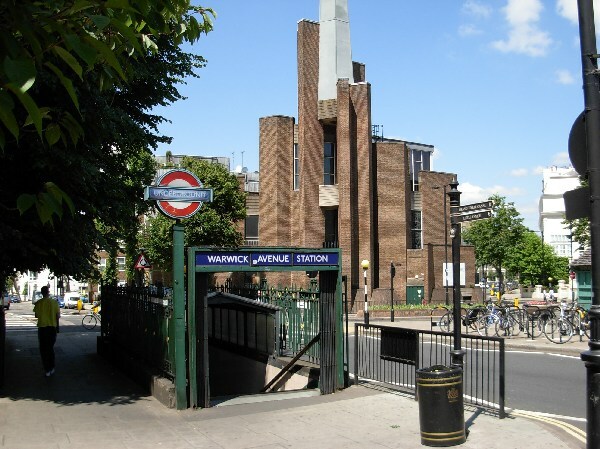 The station opened in 1915 like Warwick Avenue. It has a historical claim, being the first station on the network that was operated exclusively by women. This was due to the wartime staff shortages and only lasted until 1919, but it is considered a landmark when considering how women started to get access to paid employment. The station looks like it has been built on the Leslie Green design like Edgware Road, but this is not the case as the architect had been dead for a few years already. 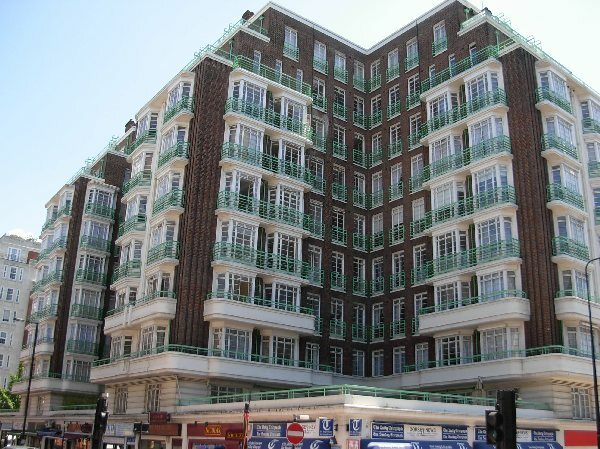 It is a good pastiche by Stanley Heaps, who had taken over the job of company architect. Mr Heaps never developed a landmark design, but he was very good at applying styles invented by other architects to the practical means needed in his case. You do realise that the design is not by Green when you have a look at the stairwell for the station. The railings and the geometrical mosaic design on the walls are influenced by the style of the Wiener Werkstätten (early Austrian Art déco), and this only became better known in the 1910s after Leslie Green’s death. 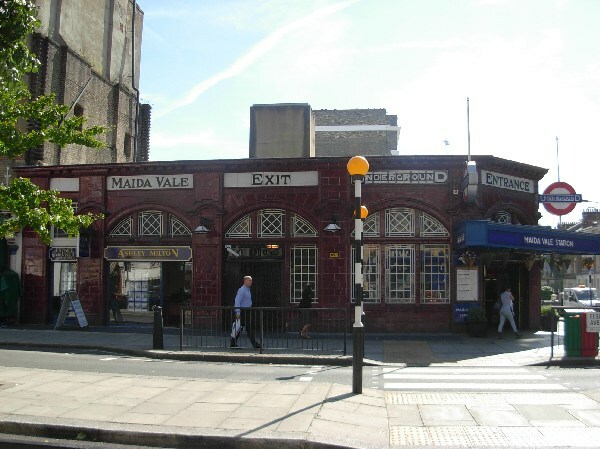 By the way, Maida Vale is named after a somewhat obscure battle that took place in 1806 in southern Italy. It warranted a special mention because it was one of the few battles won against Napoleon in Europe in these years. 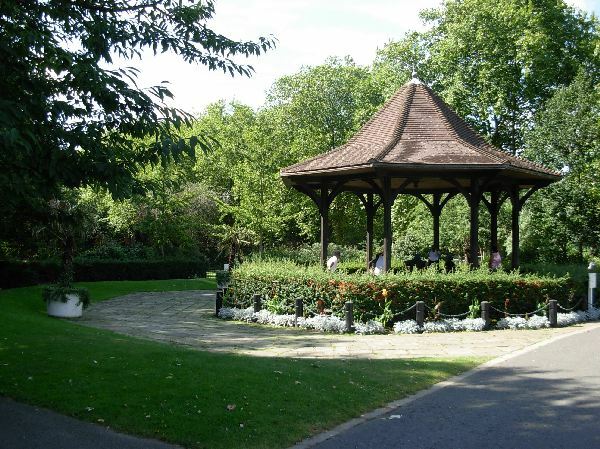 This is the largest borough-owned park in Westminster. 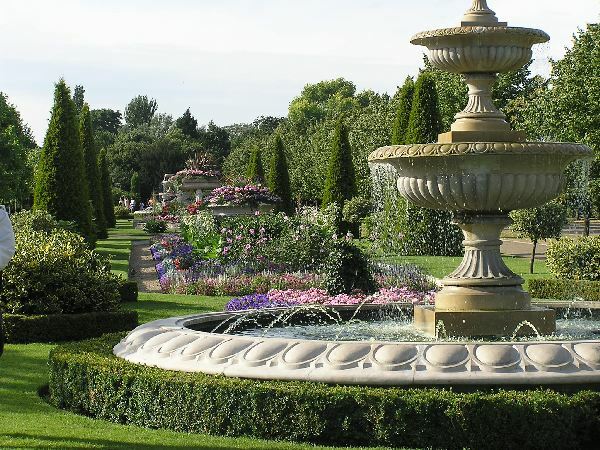 You may not count Hyde Park or Kensington Gardens, which are not owned by the borough. 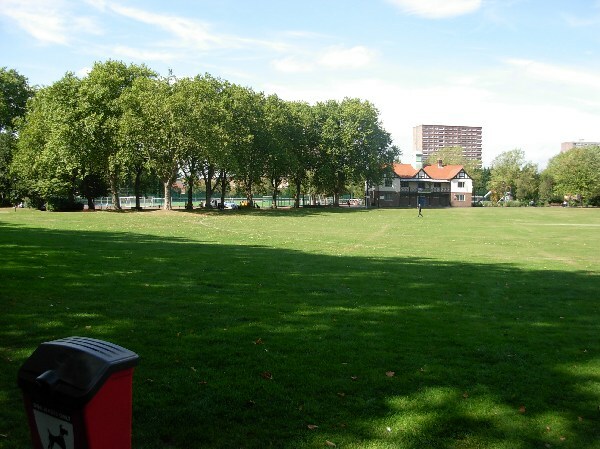 At least half of the park is actually taken away by formal sports facilities but there is also a pleasant cricket pitch with the unavoidable mock-medieval club house with changing facilities. There is also a pretty little kiosk. If you look around long enough, you will also find the entrance to a delightful shaded rose garden tucked in a corner. It is built in the form of a round pergola around the rose beds, a gardening tradition from Edwardian times when commercials growers started to offer a wide choice of climbing roses that were hard to find before. 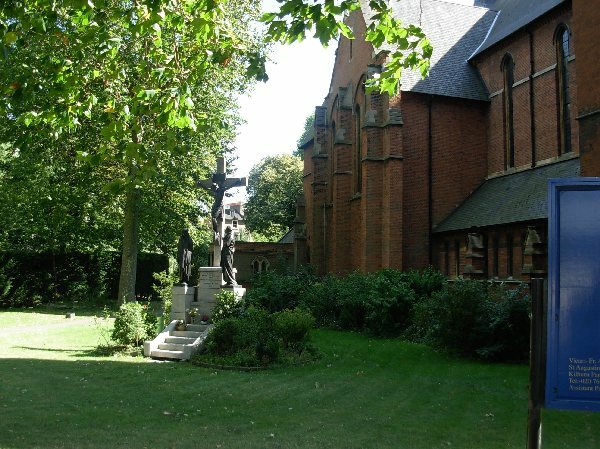 St Andrew’s West Kilburn is a large suburban church from the Victorian period with all the typical neo-gothic details. The one peculiarity is that the nave walls are built in bricks. This is the reason why the windows are tall and very narrow as bricks cannot be set in a self-bearing arch above a larger window like stones can. 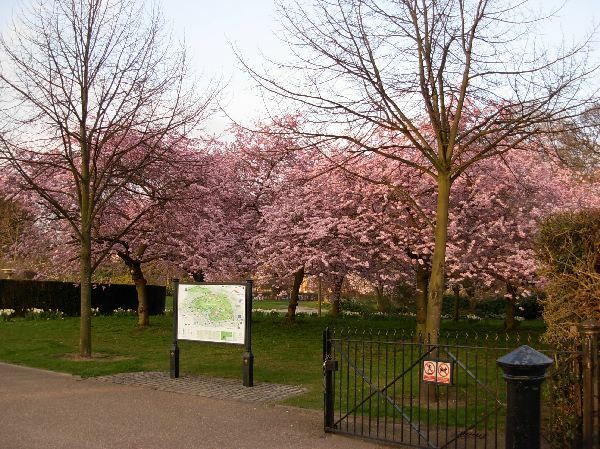 The minor green space is called Cambridge Gardens, which is a confusing name as there are a lot of those in London (and even a “Cambridge Heath” in Hackney). This is not due to planners being nostalgic about their studies in Cambridge, rather about honoring whichever royal prince was Duke of Cambridge at the time. In the present case, there is nothing of special interest except for the height of the trees. The station opened in 1915. It was a bit special, having elevators instead of the customary lifts. This was quite a novelty at the time and most British architects were unable to experiment with them because property owners did not trust this American invention for years. The station building is a Stanley Heaps design like Maida Vale. He kept very close here to the Leslie Green design, eschewing just the upper floor because this was linked to lift machinery and therefore not necessary with elevators. He also used glass panels around a large hall while Leslie Green usually used the arches around the building to harbour more profitable small shops. 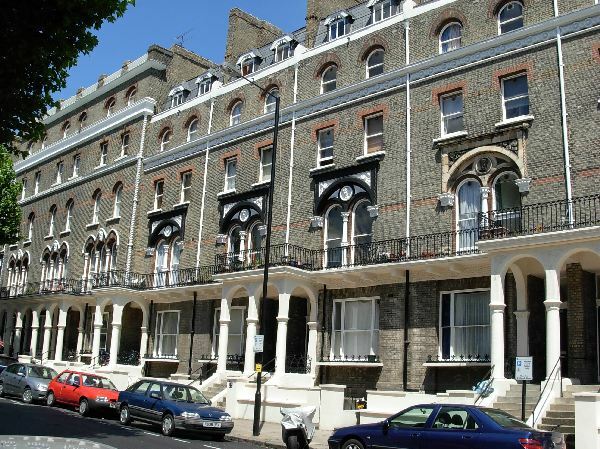 The terraces in this road are obviously very different from the town houses in Maida Vale. The ground floor is raised much higher than was usual at the time and I suspect this is because the domestic staff was now housed below the house rather than on the second floor as had been usual in Georgian times. The new arrangement kept staff and deliveries better away from the owners. A contemporary estate towards the end of the street struck me as having an unusual façade cladding. It is just a combination of black glazed, natural and white painted bricks, but it is a novelty. I guess it is not made often because bricklayers need to spend more time on applying the right pattern, which makes their work more expensive. 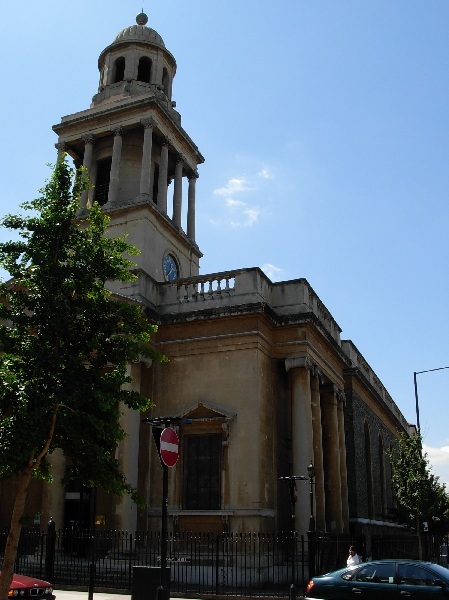 Towards the end of the road, you walk past a typically modest, neo-classical baptist church, and then past the modern structure of St Luke’s West Kilburn. The original church was destroyed by bombs in 1940 and the new parish church was opened in 1952. The economic situation did not allow expensive materials but the architect used the opportunity cleverly to try a Greek cross layout with equal arms rather than the traditional Latin cross with a long nave. The spire is very pointy, which was apparently popular at the time as there was no need to plan room for bells. 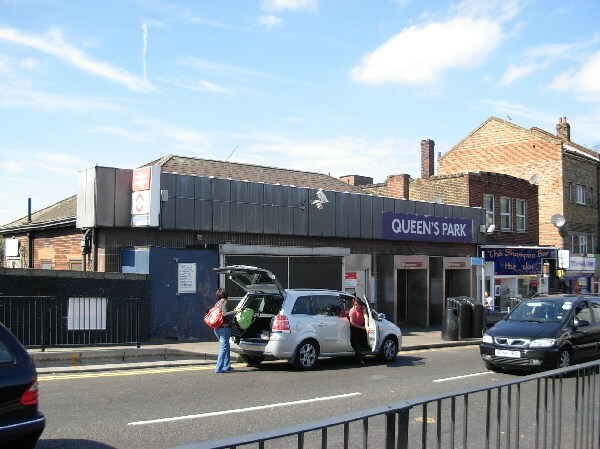 The station was opened in 1879 for the suburban train line from Euston to Watford and the original name was “Queen’s Park (West Kilburn)”. Bakerloo line trains use the same tracks and the same platforms since 1915 when the line opened. The name of the station was shortened to the present version in 1954. The station building looks like the original Victorian building and looks a bit like a large brick cottage with a modestly pointed roof. The front to the street was covered later on (1970 ?) with glazed bricks, ugly aluminium frames and a massive cornice. The result is downright ugly. This entry was posted in Tube walks other lines. Bookmark the permalink.